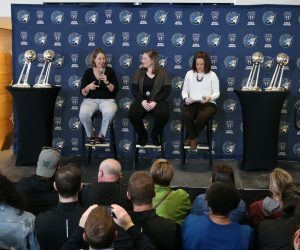 The Lynx held their ground and pushed through a sloppy and physical game, defeating the Atlanta Dream 85-74 on Friday night at Target Center. It was a team effort to get the victory, with several Lynx players contributing in various ways before all was said and done. The win is the Lynx’s sixth in a row—they still hold the longest active winning streak in the WNBA. What’s especially encouraging about this win is the fact that it didn’t come easily. In the first half particularly, the Lynx looked dangerously similar to the team that struggled early on rather than the one that has been unstoppable over the course of the last two weeks. But this game was different. 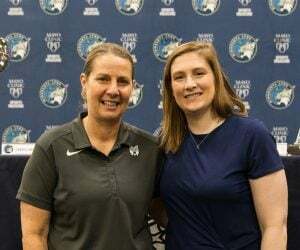 Even when the X’s and O’s weren’t playing out how the Lynx wanted them to, the passion, energy, and commitment on the defensive end never wavered. Much to coach Cheryl Reeve’s chagrin, the Lynx turned the ball over 12 times in the first half. Their communication wasn’t as strong as it has been lately, and the Dream were throwing some looks at the Lynx defensively (especially on Sylvia Fowles, she was double and triple-teamed instantly) that seemed to catch Minnesota off guard. Atlanta is an aggressive and productive defensive team, and it took the Lynx a little while to adjust to that. You can scheme all you want, but actually having to deal with the Atlanta players flying into the passing lanes is a different thing entirely. But when the passion and work are there, the results will follow. That happened in the second half. The third period was easily the best quarter of this game—Minnesota only turned the ball over one time and torched the WNBA’s best defensive team for 25 points while holding the Dream to only 15. Lindsay Whalen was a key in setting the tone for the second half. She came out fired up and aggressive, hitting shots and keeping her team loose and talking on the floor. That extra communication helped the Lynx come unstuck on both sides of the ball. “It was a good halftime in terms of the things they had to say and the look in their eyes and the way we came out of there,” said Reeve. Maya Moore had another magnificent game, scoring 24 points on 9-of-15 shooting, 4-of-6 from three, and Sylvia Fowles, while shooting only 40 percent from the field, still double-doubled with 13 points and 15 rebounds. The unsung hero of the contest was, yet again, Rebekkah Brunson. Her final stat line wasn’t eye-popping (six points, six rebounds, four assists), but her presence was everything. She led the team in minutes, played tough, multi-position defense on switches and in the post, and fought for several key rebounds. The way Brunson plays in contagious, and don’t think the rest of the team doesn’t notice. At Thursday’s practice, Reeve singled out Brunson as the glue that holds the team together. 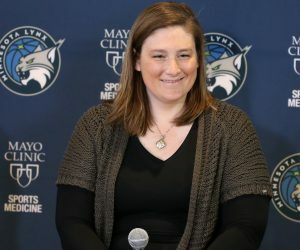 Ten players scored for the Lynx, including Cecilia Zandalasini who had another nice game for the Lynx off the bench, and Seimone Augustus, who bounced back with 10 points on 5-of-7 shooting after being held scoreless in Tuesday’s tilt against the Storm. 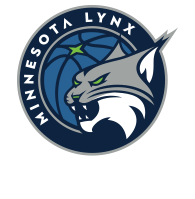 The Lynx shot 50.8 percent from the field and held the Dream to 43.3 percent, and outrebounded Atlanta 35 to 29. 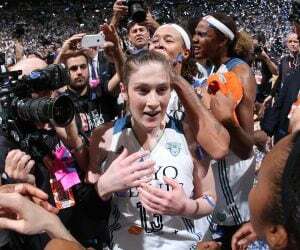 The Lynx go on the road again to face Dallas on Sunday before returning home for another two games next week. Minnesota is rolling, but the Wings are a tough team. Don’t look away now, this is starting to get good.